It is light in weight but excellent tear-resistance good puncture resistance. It is easy to handle during construction. It is used widely to make car cap to reflective sunshine in roof, floor, wall, pack food for heat retaining. This combination provides excellent water vapour resistance and higher tensile strength. Perfect uniformity,test on line in process. 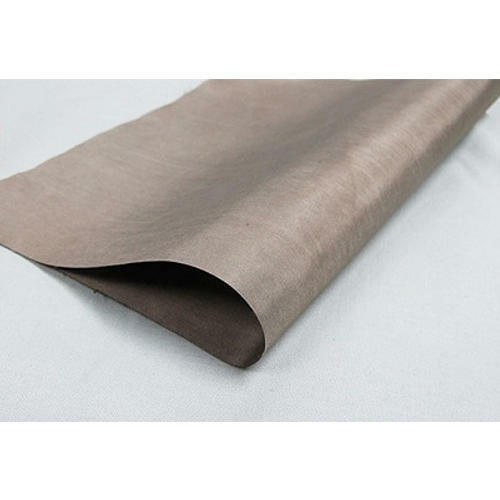 High barrierThe material provides excellent insulation Reflects up to 97% of radiant energy in addition to reflective sheeting resisting other types of heat transfer from conduction, convection,and radiation. The side of metalized PET forms an effective barrier against moisture,air currents and vapors. It is economical solution for a wide range of industrial, manufacturing ,packaging and consumer application. Such as for industrial sheds, commercial buildings, home insulation, under wood or laminated flooring, roof insulation, carpet underlay and construction, packaging material to the sensitive products. Our Woven AL Radiant barrier is a 3 layer radiant barrier, using 1 layer of pure aluminium foil bonded to 1 layer of extra strong woven fabric. Also Radiant barrier isavailable in a 5 layer, using 2 layer of pure aluminium foil bonded to 1 layer of extra strong woven fabric. To manufacturing these products with following quality norms, our experienced professionals use top quality components and modern machines. Our products are appreciated for their easy to use, attractive design, crack resistance, long service life, and lightweight features. Moreover, we are also offering Installation Services to our valued clients. These offered products are used in many applications like pre-engineered building insulation, thermal insulations, and fiberglass insulations, under roof insulation, foil wrap insulation, and much more. From the first day of our starting, we have been able to manufacture the best quality of thermally insulating material at cost effective prices. For a state-of-art and strong infrastructure, we have modern tools which including cutting edge technologies in our manufacturing unit. Also, in our organization, a strict time deadline is followed to design and deliver the products. Under the direction of our mentor, Mr. Kalpesh Patel, we are able to create a huge patron. With the help of his deep knowledge and experience, we have gained a top position in the market.